The injury bug has not been kind to the Arizona Diamondbacks early in the 2019 season. 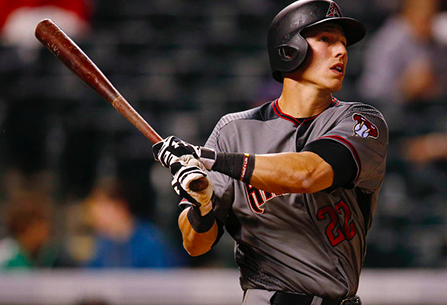 On Friday, the club placed infielder Jake Lamb on the 10-day Injured List with a strained quad. Lamb’s injury is another early setback for the team. Lamb suffered the injury while pulling into second base after a double during Wednesday’s win over the Padres. An MRI taken on Thursday revealed a Grade 2 strain of his quad muscle. The Diamondbacks have put a six-week timeline on Lamb’s return, although nothing is written in stone at this point. The injury is a huge setback for Lamb personally. A shoulder injury that eventually required surgery limited him to just 56 games last season. Prior to that shoulder injury, Lamb had started to break out as a regular contributor for Arizona. He posted an OPS of .840 in 2016 and .844 in 2017. He hit a combined 59 home runs for the team over those two seasons. However, he struggled to get going in between stints on the DL last season and now must sit out the early part of the 2019 campaign. Lamb started three games at first base and one game at third base during the first week of the season. He’s been batting 5th in Arizona’s batting order, making him an important part of the team’s lineup, especially if he’s able to return to the form he had in 2016 and 2017. The Diamondbacks have already lost Steven Souza to a season-ending injury. The team also lost Paul Goldschmidt and A.J. Pollock from the lineup over the winter. Journeyman Christian Walker figures to step in as Arizona’s full-time first baseman while Lamb is out. Walker has already hit three home runs and two doubles the first week of the season. However, he doesn’t have much of a track record in the majors. The Diamondbacks weren’t expecting him to be an everyday player this year. But now he’ll be forced into that role for the next six weeks. The loss of Lamb will also keep Eduardo Escobar tethered to third base for the time being. Escobar started at second base in place of Wilmer Flores with Lamb playing third base earlier this week. However, without Lamb’s flexibility, both Escobar and Flores will stay put at third and second, respectively. The Diamondbacks also brought of Ildemaro Vargas to serve as an extra infielder on a team without much depth now that both Souza and Lamb are on the shelf. Needless to say, the Diamondbacks can’t really afford to be without Lamb for six weeks. The club is just 3-4 in their first seven games and could fall behind the Dodgers in the NL West quickly if Los Angeles continues their fast start. Unless Walker can continue his hot hitting, it’s only a matter of time until Arizona feels the full weight of Lamb’s injury.